MXC combines three complementary capabilities that are rarely integrated under one roof. Ian Smith and Tony Weaver are the founders of MXC. They invested their own capital 15 years ago, going on to complete over 80 transactions in the tech sector. 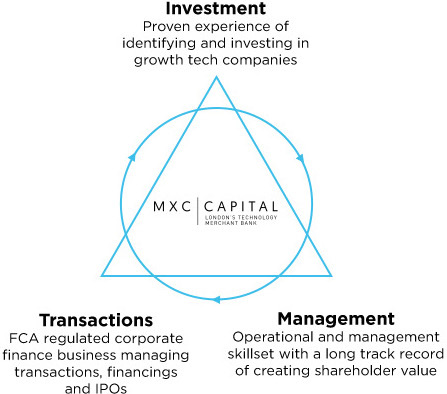 That experience, coupled with a growing team of professionals, provides MXC with the opportunity to be the leading adviser and investor in the sector, bringing both capital and experience to companies seeking to grow their businesses.